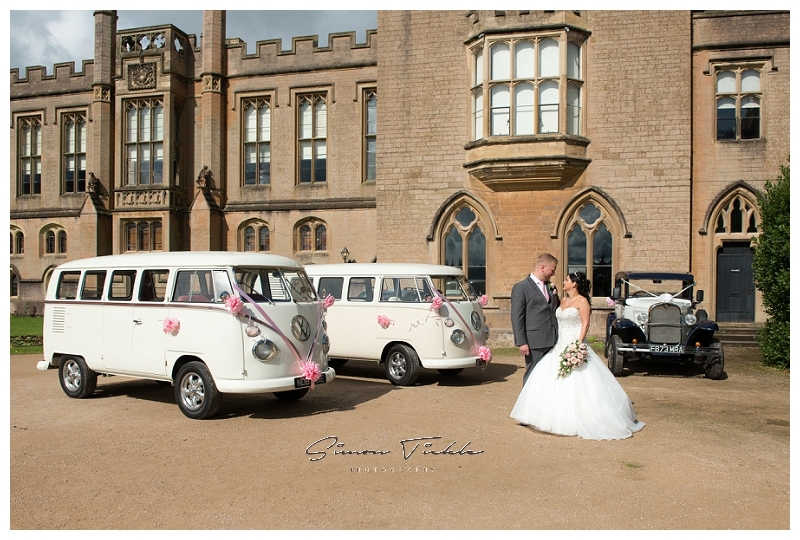 As a Nottingham Wedding Photographer, there are some venues which you can never get tired of. Newstead Abbey is one such venue. 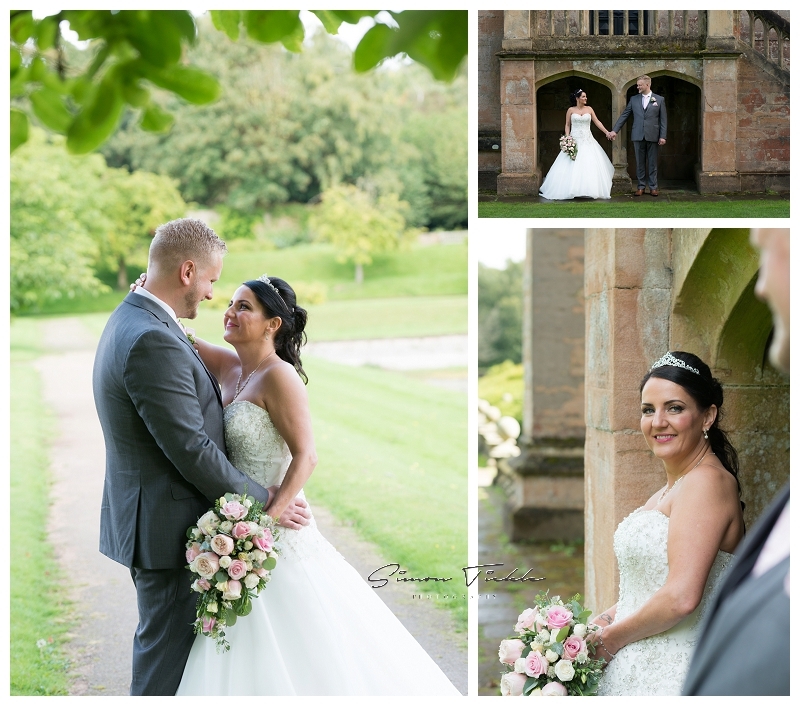 I’ve had the pleasure of working at Newstead Abbey several times in the past, both to photograph weddings and also for family & child portrait sessions. 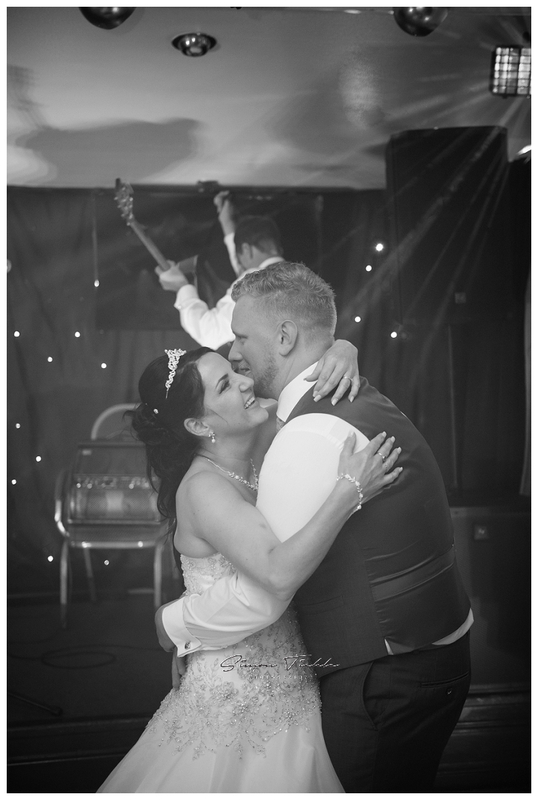 It was great to be able to return again for Wendy & Ryan’s wedding in September. 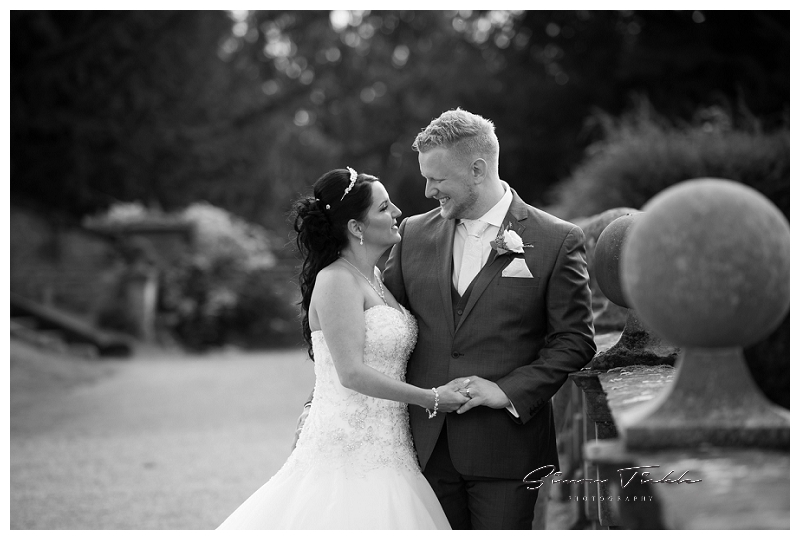 September is one of my favourite times of year to photograph a wedding. The weather, whilst slightly cooler than in the peak of summer, is generally still dry and the light is generally every so slightly softer. If there was one word to sum up this wedding it is ‘fun’. 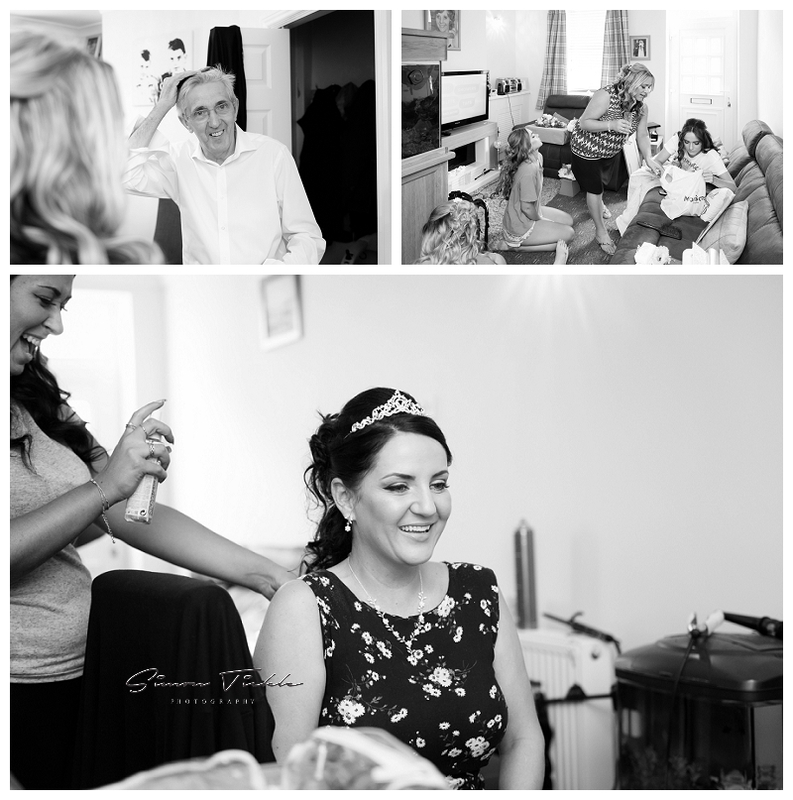 Wendy and Ryan are a joy to be around, and it was no suprise that their wedding day was a great deal of fun too! I started the day by visiting Ryan and his groomsmen. 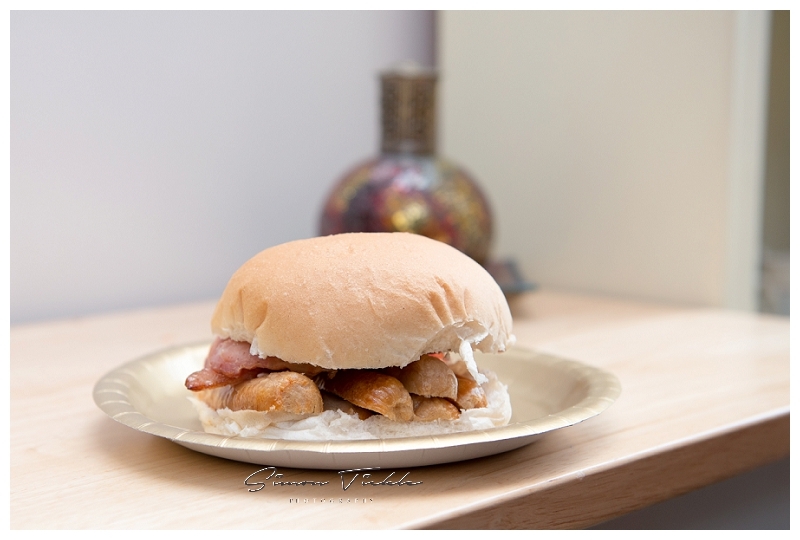 We spent some time photographing all the small details over a sausage cob (or two!) 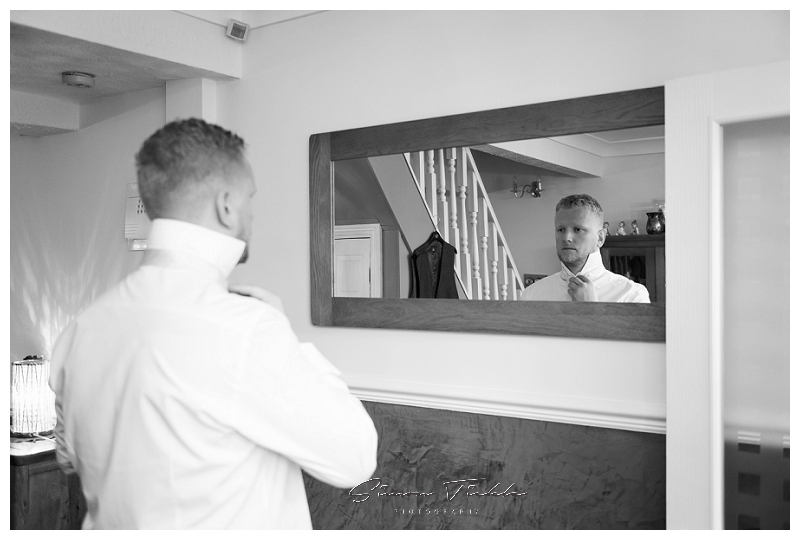 and then captured a few images of Ryan as he began to prepare for the big day. I then headed over to Wendy where the girls were getting ready. 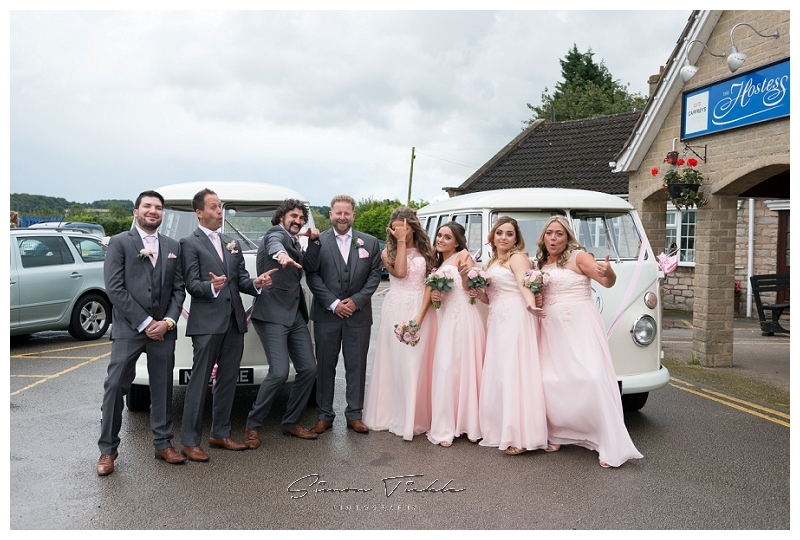 Wendy & Ryan hired both a beautiful period beauford and a pair of vintage campervans to transport themselves along with the bridesmaids and groomsmen to Newstead Abbey. On arrival, it was beginning to drizzle, but by the time the ceremony had finished the sun was shining gloriously. 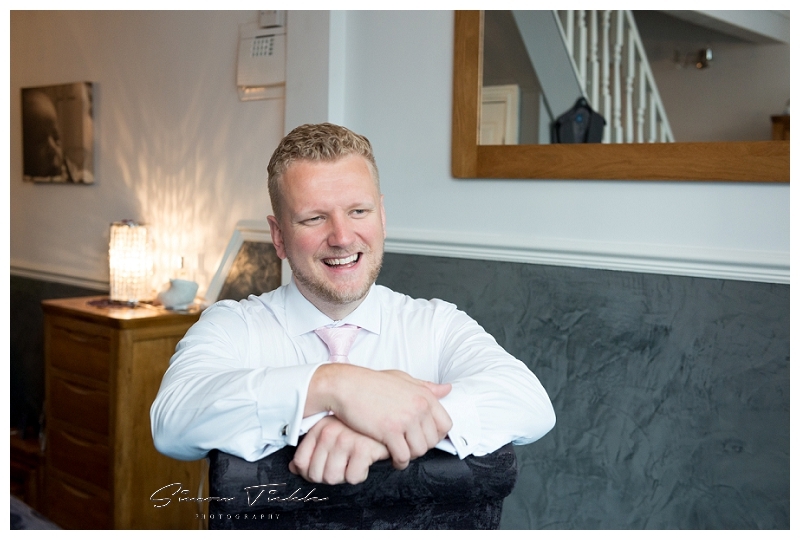 I headed off into the grounds to create some portraits with Wendy & Ryan, and they had time for a quick glass of Champagne before we headed off for the wedding breakfast. 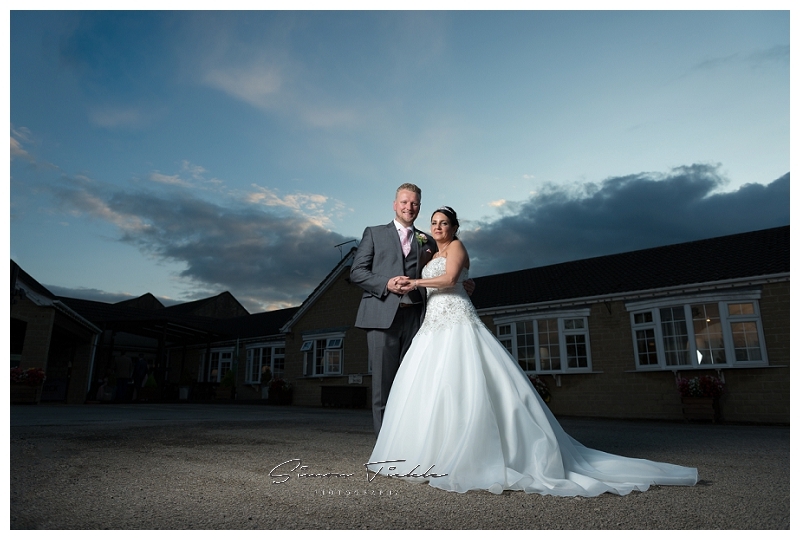 Wendy & Ryan chose the Hostess Restaurant as the perfect location for their evening reception. 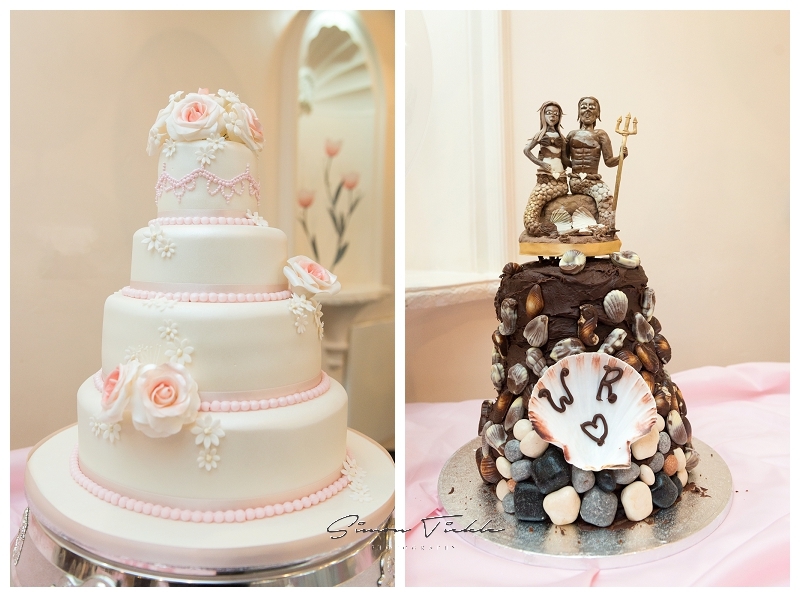 They had two exceptional cakes which had both been lovingly hand made by close family and friends. It’s these little details that I love to capture – they truly were one off’s crafted with the upmost of love and attention. As the sun began to set, we headed back outside for some romantic ‘golden light’ portraits. Just as I was about to leave, the Master of Ceremonies found me to say they had organised a suprise that was worth sticking around for. One of Wendy’s work colleagues, Adrian, had rejuvinated the drag roll he had last played many years ago. A truly fun and fitting end to a fabulously fun wedding day. 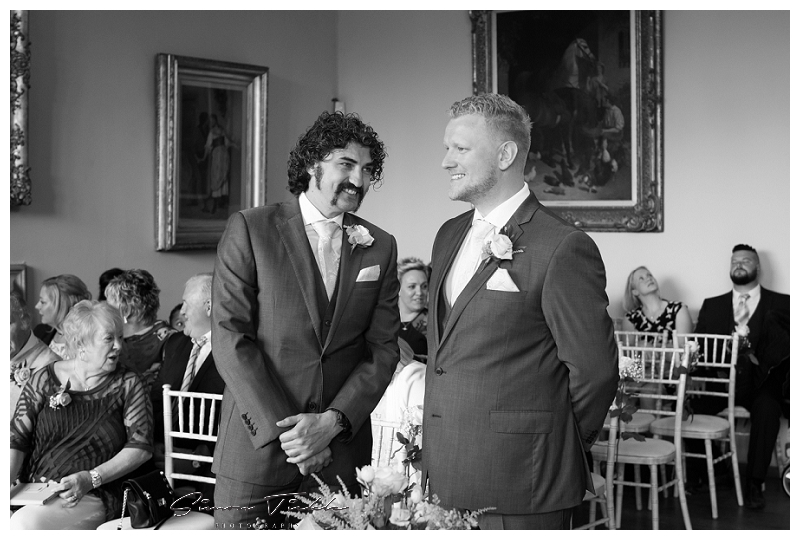 I loved every minute of Wendy and Ryans wedding but here are some of my favourite images from the day.